Let me indulge you in my passion for Japanese meals in a bowl. For me, they fall into two categories—donburi and donabe—although in washoku, or traditional Japanese cuisine, they fall into more, but then again I’m a simple person and Japanese food is varied and complex. I love cooking Japanese food at home. It’s so easy to make an easy fry, a sauté or a quick braise and serve it over a bowl of rice with pickles and a side salad. Since I always have dashi and miso around, if I want to get ‘crazy’ I can serve miso soup alongside as well. Typically, a dinner like that takes me 30 minutes to put on the table, only 10 of which is active and working. Rice takes the longest to make so I start that first. Sauté thin slices of beef (for example) and onions in soy, dashi, sugar, sake mixture for 3-4 minutes and plate over the rice in bowls when done. I’ve always wondered why this type of cooking hasn’t taken off more for the home cook since we all love Japanese cuisine. I think it’s a multi-faceted issue—first, lack of education about the food/recipes, and second, having the right ingredients in your pantry, the right serving bowls, and in some cases, a few pieces of inexpensive equipment help. There are amazing resources out there now—books, a new store opened by Naoko Takei Moore, the author of Donabe the cookbook, and so much wisdom online—I thought it would be good to inspire you today to start eating and cooking this way more often. The best thing to happen for American home cooks in years is Naoko finally opening Toiro in LA, where you can get her book, browse all the donabe and donburi utensils and vessels, and learn more about making your own dishes to be served over rice or along side it. Check out Toiro Kitchen, my new favorite website, and start cooking. 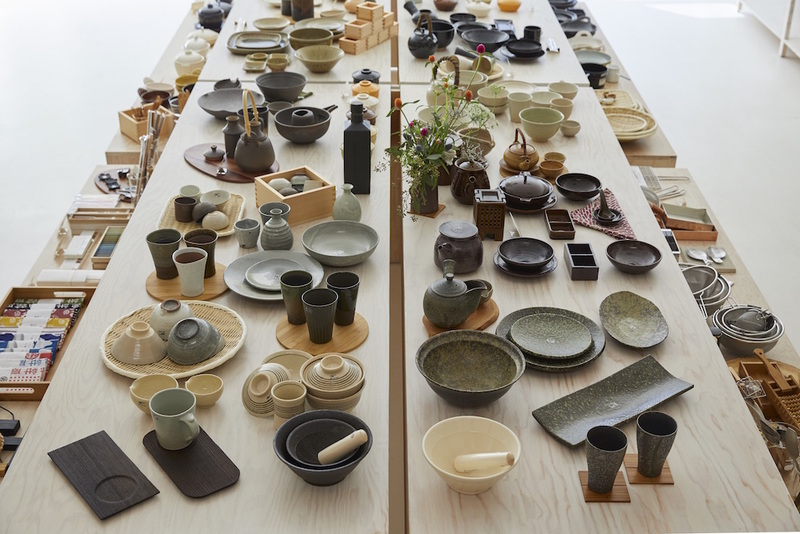 Their clay works and other cookware from the Iga region of Japan will last forever if cared for the right way. Donabe are both the claypot vessels and the foods that come out of them. The savory foods are colloquially referred to as nabe… I even use it as a verb when I land at Tokyo’s Narita airport, texting my friends to say “let’s go nabe tonight.” I have several donabe because I like to make a few donabe at a time, and plunk them down on the table in these gorgeous artisanal pots. I like the versatility of them. They are made of clay, they cook evenly, they stay warm and keep the food warm as well… for a long time. Sitting down with friends and family over a steaming pot of nabe, serving it over rice, assembling all the goodies takes almost no time at all and while this may sound like an odd concept, consider it Japanese hot pot cookery. You can make Chankonabe rice porridge filled with meats and seafood and grow like a sumo wrestler, or braise beef and mushrooms in a sukiyaki-like liquid seasoning and spoon it over bowls of rice. I think you already love many of these foods and have eaten them already. Here’s why… while donabe cookery is done a lot at home, in Japan, there are restaurants serving these foods all the time. Many Japanese restaurants in America serve them too, but they don’t serve them family style, they serve them individually portioned and refer to them as donburi. Even a slew of raw fish at your local sushi bar served over a bed of rice falls into this category. Donburi means ‘bowl’ and also refers to all the ‘rice bowl dishes’ that are made up of fish, meat or veg, typically simmered together and served over rice in an oversized bowl. So you can cook in your donabe, making a donabe, and once it goes into a specific type of bowl in which rice is sitting and waiting, then you hold in your hands a donburi! Donburi is also a great way to get rid of leftovers. They say it all started in the Edo period, named after Tokyo’s grand age, when theatergoers were served grilled eel over rice in the 1600s. You may not have tried that, but I bet you’ve eaten ikura don, which is made with seasoned salmon eggs. Katsu don are insanely popular fried cutlets of pork or chicken, typically finished in sweet soy and dashi with onions and eggs and drop-lid cooked to finish in the rice bowl. And yes, some chefs can even keep the cutlet crisp! Oyako don is similar, but cutlet free. Ten don is with tempura goodies on the rice. Gyudon is with sautéed beef, it comes a hundred ways and is wildly popular everywhere it’s served in Japan. There are even chains whose focus is this dish. I like mine with pickles, radish and poached egg on top. Butadon is the same set up with pork, kaisendon is the donburi that was first made famous in Hokkaido and features a ton of local fish over rice. It’s one of the best deals you’re not taking advantage of at your local sushi bar. Chukadon is a Chinese stir-fry served over rice. Really, the list is endless. Electric frying pan with high sides and 2 satellite portable burners with gas canisters so I can cook in middle of the table if need be. I buy a lot of stuff in small markets as I travel, but here are some great online resources: Katagiri is my daily go to in NYC; I ship stuff to Minnesota from there all the time. Ditto Marukai in LA.